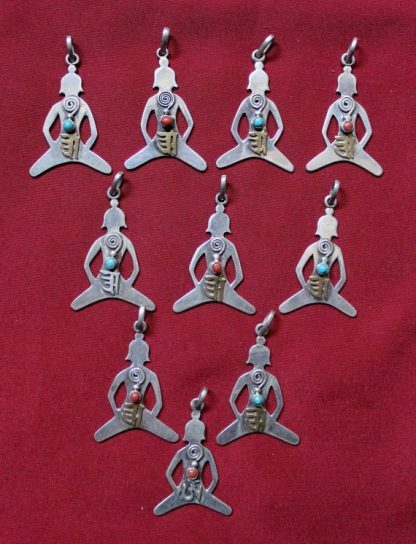 This is a lot of ten meditating Buddha pendants. 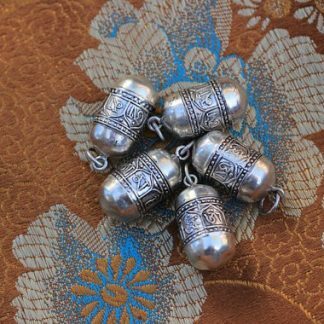 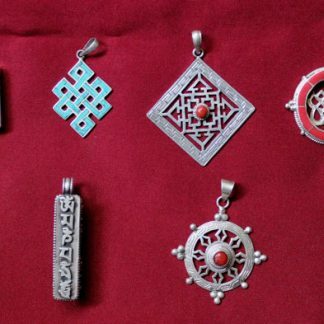 Each pendant is made of pure 925 silver. Design is beautifully carved meditating buddha. 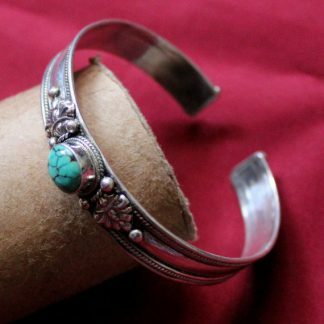 It is decorated with semi precious stones like coral and turquoise. 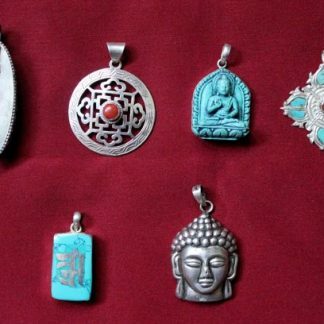 In the middle is carved Tibetan Om placed on top of the Buddha’s palm. 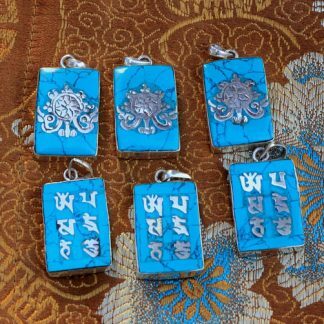 To be more realistic chanting Om mantra helps you in your prayers and meditation. It is useful for both sitting and walking meditation. 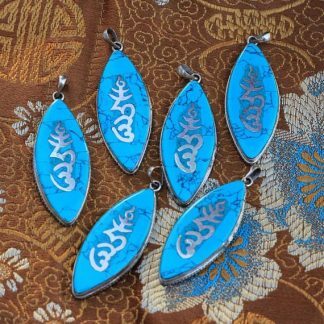 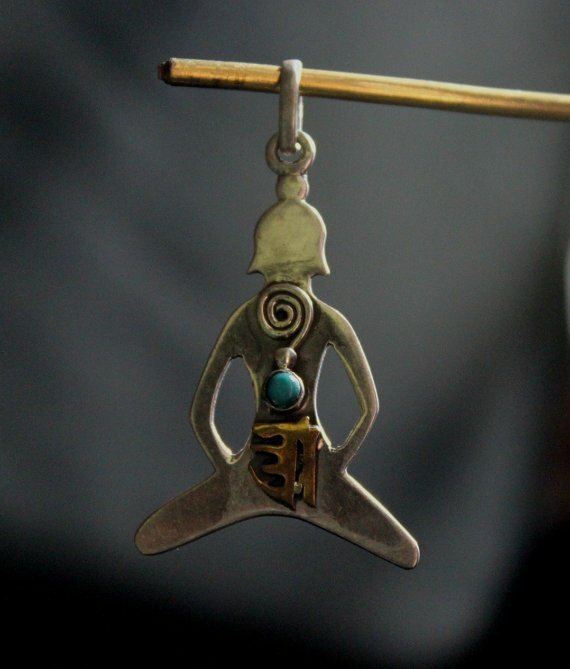 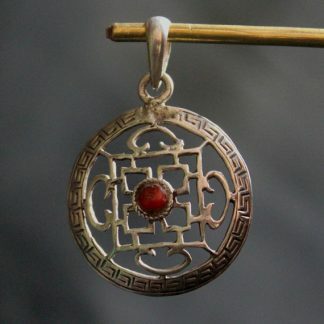 This pendant comes with dual symbols both a meditating Buddha and Om symbol so it cannot be better than this. 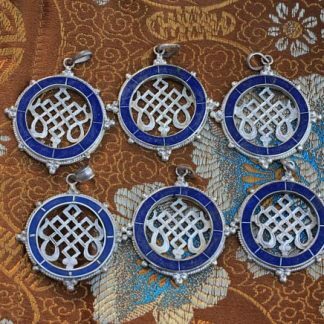 Amazing design and unique pendants.